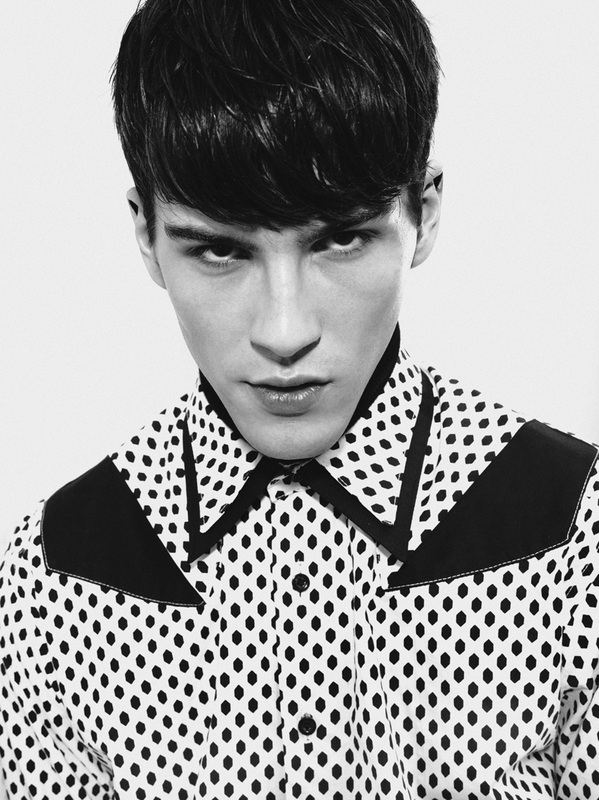 Designer Lukasz Stepiens A/W ’11 collection features some hot menswear that I’d like to wear. The concept for the shoot was blah blah blah rocker boys blah blah 90s bands blah blah blah (I got sick of reading and decided to just look at the pictures) But anyway, I love the rocker boy look and I’m so happy that menswear is being made more fitted so I can squeeze my hips into their straight leg trousers. I often shop in the mens section because no matter how many pairs of “boyfriend jeans” I try on they still don’t look as good as my boyfriends jeans. And sometimes you need a shirt dress in a dudes pattern instead of the stupid tie waist ones they have in the ladies shops. These jeans were made for me…. Ain’t nothin like a long cut blazer with zipper trim! The fur lapels on dudes…hmm not so much, but think how awesome they’d be for us ladies! This shirt unbuttoned, belted and with heels is the perfect day dress. Watch out boys, I’m headed for your closet!